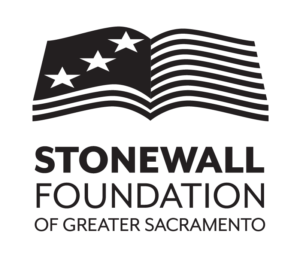 The Stonewall Foundation of Greater Sacramento is expanding opportunities for leadership development of LGBTQ youth. This year we were pleased to issue funding for a full tuition scholarship aimed at CSU Sacramento students seeking to increase LGBTQ equity and representation in civic affairs. 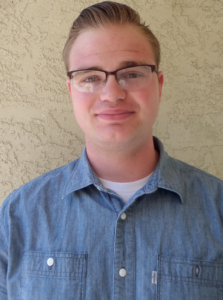 In collaboration with the university, the Foundation selected Travis Legault as the 2018 recipient of its McBride scholarship, named for lifelong activist and early champion of LGBTQ rights, Laurie McBride. Committed to our goal -”to advance equal rights for all people, regardless of sexual orientation or gender identity,” the McBride Scholarship assists students committed to political, social and economic rights of LGBTQ individuals, as well as achieving their academic outcomes. The scholarship was created by the Stonewall Foundation to cultivate leaders who, like McBride, understand that fighting for equality requires consensus building, commitment and resolve. McBride, as prominent activist in California, pushed for statutory protections long before many considered doing so. She worked in local, statewide and national movements for civil rights and political access for LGBTQ individuals. As executive director of the Lobby for Individual Freedom and Equality, she led California legislative efforts for employment protections, domestic partnerships, and HIV/AIDS treatment and prevention. Laurie went on to work as a policy advisor and chief of staff in the legislature, and as Assistant Secretary of State. The Stonewall Foundation looks ahead to working closely with our new McBride scholar: 1) to educate our community about policies that impact the rights and well-being of LGBTQ individuals; 2) to oppose discrimination based on sexual orientation or gender identity; and 3) to develop LGBTQ civic and political leadership.